On Tuesday, September 19, 2017, the women’s tennis team took on the Lakeview Wildcats in a classic matchup at Peterson Park. Led by Daisy Trujillo, Adv. 809, and Nicole Roc, Adv. 806, the Mustangs were the strong favorites. However, the day did not begin as planned. Strong storms passed over the Chicago area until around 12:00 p.m., and the game looked as if it would have to be postponed. Although the rain ceased, the courts were drenched with water. Thankfully, they dried up and the game was on track to begin as scheduled. The first matches of the day were women’s singles (one on one play). Roc and Trujillo took on Lakeview’s Maria Rivas and Fabiola Rivas, respectively. Roc dominated her match, winning the first set (6-2) and second set (6-0) against Rivas. Trujillo played valiantly, but ended up losing both sets (0-6, 0-6), giving the match to Lakeview’s Rivas. After her performance, Trujillo said “Even though I had a rough match that day, I was so proud of my teammates for winning their matches and bringing Northside another victory.” These were humbling words from the seasoned player who demonstrated that the team aspect of tennis is more important to her than individual glory. The Mustang’s doubles team (two on two play) also displayed a strong showing of dominance. Tanyi Bagal, Adv. 103, and Sophia Chang Stauffer, Adv. 810, were a part of Northside’s first doubles match, facing Rebecca Martinez and Yuliya Romantsova from Lakeview. Bagal and Chang easily overcame their rivals with a (8-1) match win. Meanwhile, Abigail Kim, Adv .807, and Audrey McManus, Adv. 900, played well to beat Lakeview’s Oralia Rodriguez and Jasmia Flores (8-0), a very impressive performance by the upperclassman duo. Finally, Sally Kim, Adv. 906, and Georgia Bates, Adv. 910, continued the dominance with a win (8-0) over Lakeview’s Krystal Geban and Kassandra Garcia. Northside was unstoppable in doubles play, sending the Wildcats home without a win. Roc, Trujillo, Chang, and Abigail Kim are the sole seniors of women’s tennis at Northside Prep. They played their last matches on September 25, 2018 (a superhero-themed event), against Taft, triumphantly beating the Eagles in their final hurrah as Mustangs. When asked about how she felt after the game, Roc said, “After three years of playing tennis for Northside, it’s sad to see the season come to an end, but I’m thankful for all of the coaches and girls that made my last match the most memorable. 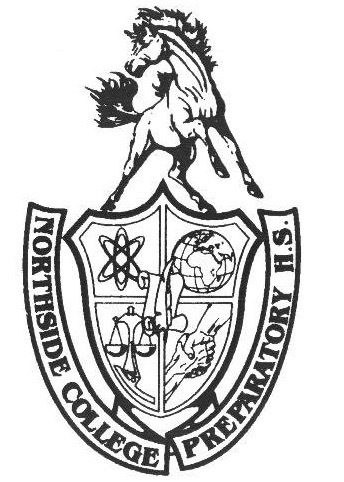 I will never forget the experiences I have had at Northside and will take these experiences with me in my collegiate career.” Although the team may be losing a strong core of players, the future of the Mustangs looks favorable. A tough class of Sally Kim, Bates, and McManus look to continue Northside’s supremacy in tennis next season. Furthermore, they will be able to mentor the future of Northside tennis because of their experience as veteran players. Hopefully, more women will soon join the tennis team so that Northside will be able to keep a well rounded program in the upcoming years.